"During my 18 years I came to bat almost 10,000 times. I struck out about 1,700 time and walked maybe 1,800 times. You figure a ballplayer will average about 500 at bats a season. 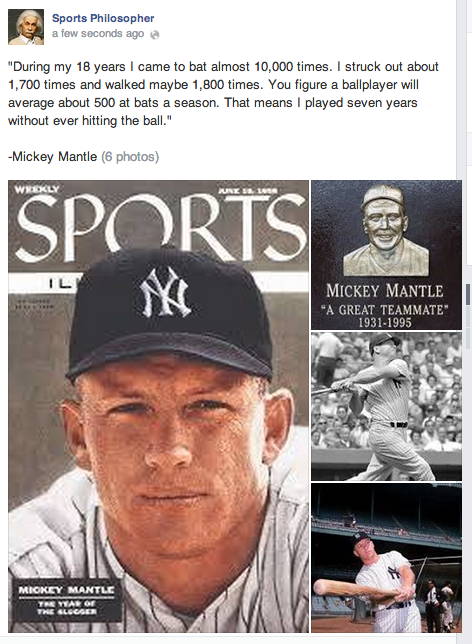 That means I played seven years without ever hitting the ball."